Learn how to make exquisite home-grown cocktails. Lottie Muir is the creator of the Midnight Apothecary pop-up cocktail bar, set in a roof garden in the heart of London, where she also grows many of the ingredients for her mixes. On Saturday nights she sheds her gardening gloves and dons her apron to become the Cocktail Gardener mixologist. 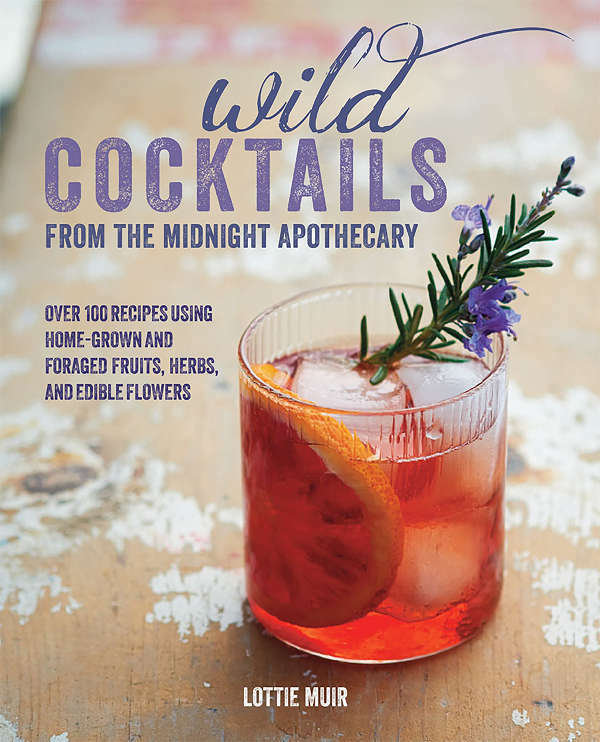 Moving from flowerbed to bar, she rustles up seasonal plant-powered cocktails, made with the harvest from her garden and from foraging trips nearby. Starting with The Cocktail Cabinet, Lottie explains both gardening and cocktail-making basics. She tells you what botanicals you will need year-round, including edible flowers, and gives tips on getting the best from your growing space, as well as advice on foraging if you want to venture further than your backyard. She also introduces you to basic equipment and techniques for making infusions and syrups as well as cocktails, and offers suggestions for garnishes. Then, in The Cocktail Elements, discover how to make a wide range of infusions, syrups, liqueurs, and bitters, which you can then make use of in The Recipes. Here you’ll find Garden Cocktails, Foraged Cocktails, and Mocktails and Restorative Cocktails. With delicious drinks such as the gorgeous Gorse Collins, Wild Cherry Rye Manhattan, and a Lavender Bee’s Knees, you will appreciate the flavors of the garden and the wild, with the kick of a cocktail.